Ok so I changed my mind, and I guess Garry would be pleased to know about this... Edward also isn't that bad after all. Of course, Jacob is definitely the more cheerful and sunnier option, but I suppose you can say he's a tad immature and hasty. Besides, Edward too has some rare 'sparkling' moments, when you get to see his playful side. Mostly though, he's kind of dull and too serious. But I guess that's to be expected from a guy who belongs to that ancient era. Right, so before you all come to the conclusion that I have completely lost my mind, based on the blabbering above, let me clear it up. I finally decided to start on the Twilight series again. Third time already? Well you know... some books are to be tasted, some to be swallowed, and some to be chewed and digested. And the Twilight series happens to fall in the last category. The one thing that stood out to me, when I read the series for the first time, was the way Stephanie Meyers has created her characters -- they're all so alive and real that you feel you've known them personally all your life. And the series deserves a third reading just for that. I mean you've just got to make an effort to get to know those people (and those vampires... and yes the werewolves too) more closely! So anyways, coming back to Edward... he's kind of okay too. In fact, if I were in Bella Swan's shoes, and had to choose between him and Jacob for my life partner, I'd probably take Edward too. Not because of the looks though... I personally think Jacob looks a lot better than Edward any day! But I kind of like Edward's overall sincerity and maturity. So okay... he's not as much fun as Jacob, but he sure is protective about those he loves. And he kind of balances Bella's clumsiness and her often irrational behavior. Besides, Bella is such a stubborn head, Jacob probably would have never been able to handle her! She'd have him dancing around her little finger in no time at all! A mentally strong girl like her would obviously need an equally strong partner too. One thing I really didn't like about Edward though was his tendency to give up so easily. At least in the first half of the series. He comes across as a bit too much of a pessimist. And the way he just left Bella, simply because he couldn't deal with his own fears about hurting her, that was really... well it was so bad that I can't even find words suitable enough to describe it! But I liked that method he came up with later on, about working out compromises. I prefer to call them 'negotiations' though... 'compromises' sounds so much like a 'lose-win' situation instead of a 'win-win' situation. And yes, he really did get over all his fears eventually, and went on to become the perfect partner, for Bella, with complete confidence in himself. And in a way, that added a touch of reality to this otherwise "fantasy world"! I mean aren't we all constantly working on our destructive patterns and habits, trying to change for the better? Well, so much for today, but you can expect future posts on this series too. Like I said, I've just started on it for the third time today. So it's going to take a few days to complete it. This is my nineteenth post for NaBloPoMo November 2010.
tell me how much you need water to survive? Hey I am reading the twilight series again too! And I agree with you Stephaine Meyer's characters are alive. If Jacob had lived tens of hundred years then even he would have been like Edward...mature and whatever. You forgot he's still a kid? I like Jacob any day and I was really glad that he didn't get Bella. She didn't deserve him. @ Makk: Well maybe if he really was that scared, then he shouldn't have become friendly with Bella in the first place. What's the point of all this remorse/guilt/fear AFTER you've already got the other person involved too deep! @ Tang: Exactly! When I first read the series, I kind of hated it. It was just a bit too much of mush for me! But I totally loved the way she made her characters even then! And hey... relax! :) This post was just for Edward, 'coz I've "bashed" him up more than once here... and I finally realized I wasn't being quite fair to him. I mean it really wasn't his fault that he was so boring... he didn't choose to be a vampire and live for so long! You are completely right. Bella didn't deserve either of them but she anyway got Edward. I do not dislike Edward but Bella. She mercilessly played with Jacob's emotions. @ Nethra: I ditto that. @ garima: You are reading this post NOWWWWW! Beta tu mil mere ko! Been awfully busy the last 2 days, & today will be the same. Will get time to blog tomorrow now. 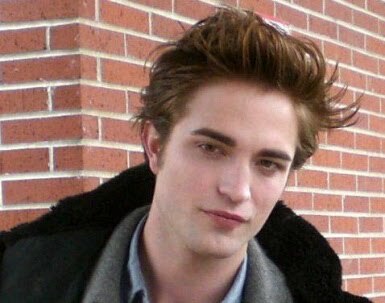 And abt the Vampires & werewolves, while Jacob, by himself, is a more easily likable character, Edward is a better choice for Bella. Meyers has made her characters after careful thinking. Blatant copy of Vikram and Betal. Really? Come on... I don't remember there being a hot hunk like Jacob Black in Vikram Betal! And the Betal used to hang on a tree, didn't he? And that too upside down!